Ray Wylie Hubbard said -- "Chris Wall is a cowboy savior/hero/poet who, with his words and music gives us redemption from the atrocities of this illusion that is presently known as country music." It’s been too long since listeners have been treated to Chris Wall’s patented brand of smart, melodic, insightful and highly listenable brand of country music. Happily, that drought has ended with the release of ‘El Western Motel’, the Austin-based artist’s first release in nearly a decade. 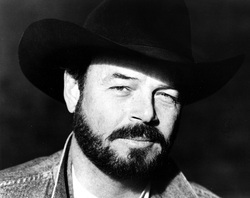 Heretofore, Wall’s calling card has been the tongue-in-cheek “Trashy Women”, which the band Confederate Railroad turned into a platinum-selling, Grammy-nominated hit in the early 90’s. Wall penned the tune when he was signed to Jerry Jeff Walker’s ‘Tried & True Music’ record label. Walker cut several of Wall’s songs on his best-selling “Live at Gruene Hall” album. Released on his own Cold Springs Records, “El Western Motel” is co-produced by Wall, Merel Bregante and acclaimed producer Lloyd Maines (Dixie Chicks, Robert Earl Keen). Together, the trio crafted an intimate, mostly acoustic suite of songs built around Wall’s handcrafted, big-sky lyrics. The album also features a big assist from Cody Braun, one of the co-founders of Reckless Kelly, who lends big dollops of fiddle, mandolin, and harmony vocals. “Cody showed up (at the sessions) to see how things are going, and we added him to the band,” Wall says. There is a nice bit of symmetry there, since it was Wall’s encouragement and mentorship that is part accounted for Reckless’ move to Austin in the late 1990s. All of the songs on the album were penned by Wall, except for “Hello, I’m An Old Country Song,” which he co-wrote with fellow Austin honky-tonker Dale Watson. Describing himself as a devotee of the “stone-cold country” old school (Hag, Jones, Willie & Waylon), Wall says he’s also a fan of Hemingway and Faulkner, whose craftsmanship and storytelling show up in the bones of Wall’s own songs.